This week I'm posting a photo taken at Hergest Croft Gardens in Herefordshire - it's another from my archives. 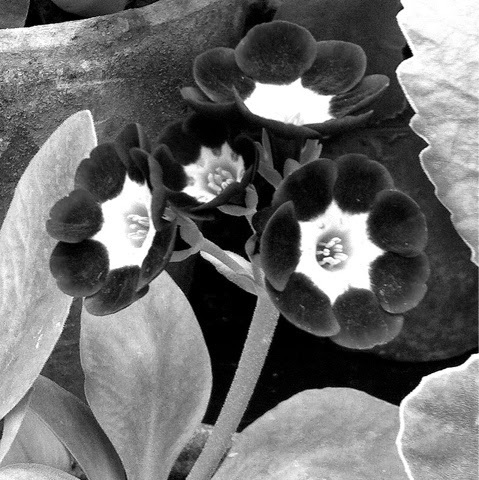 I like the inky black velvety-ness of the petals of the auriculas especially against the terracotta pot. They're pretty plants in colour, in black and white I think they're stunning. I'm linking up with Charly over at PODCast, so pop over there to see more black and white photos.